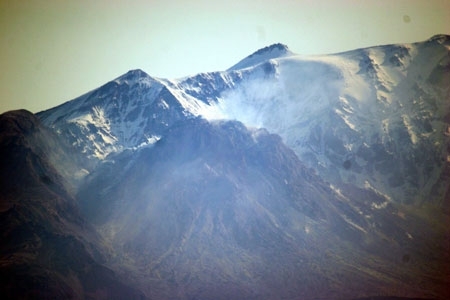 Fumarolic activity of Bezymianny volcano on July 18, 2009. 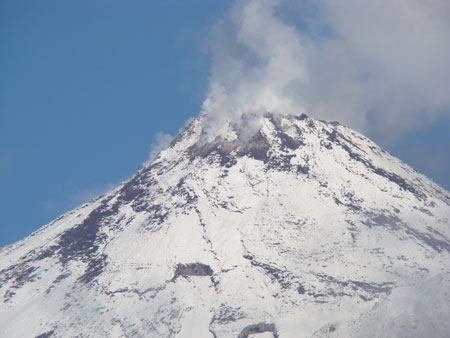 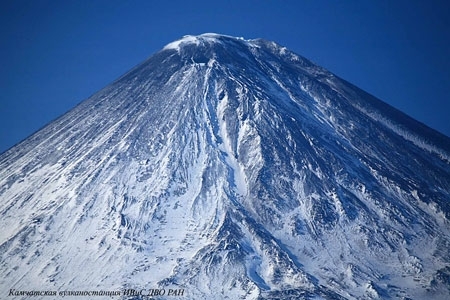 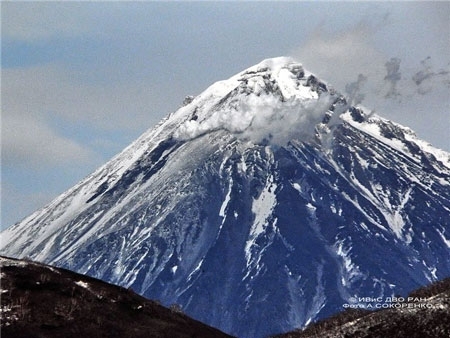 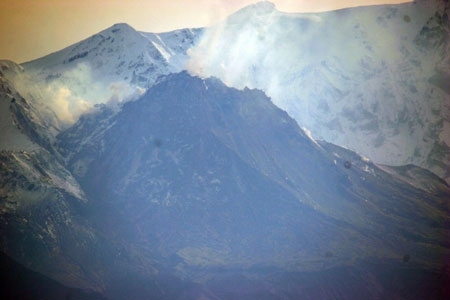 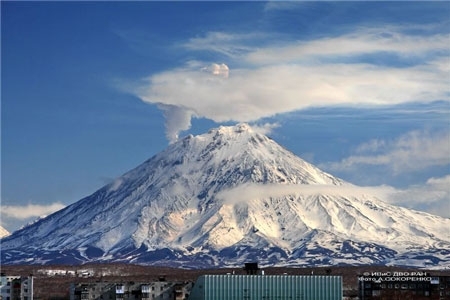 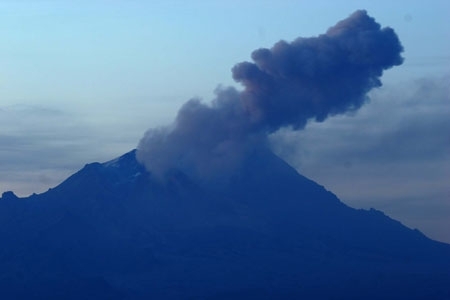 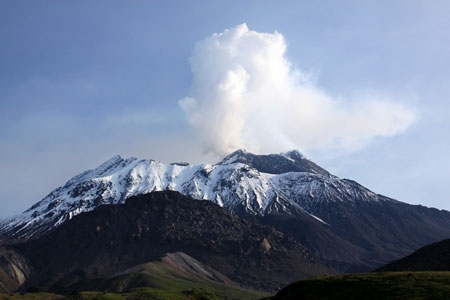 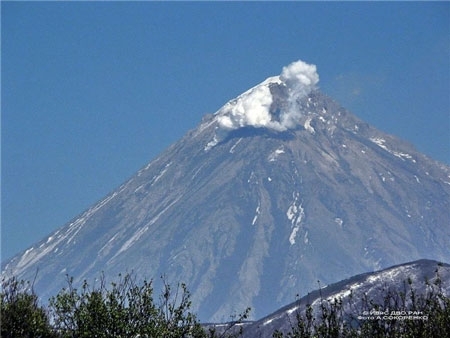 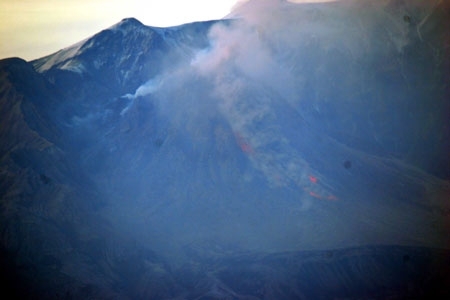 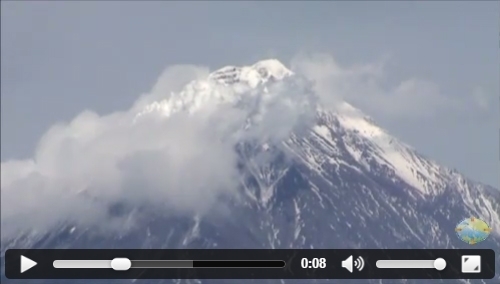 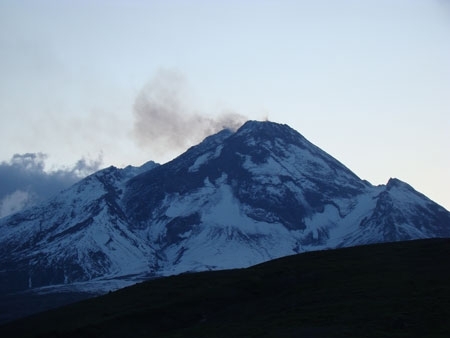 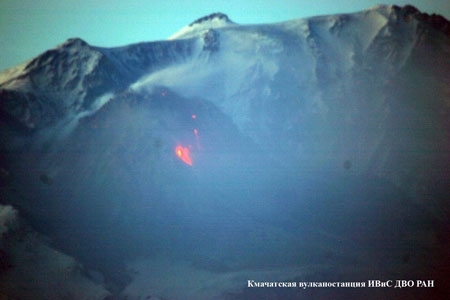 Fumarolic activity of Bezymianny volcano on July 04, 2009. 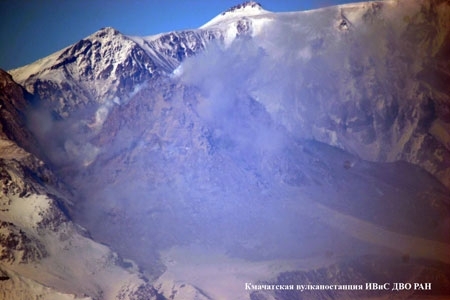 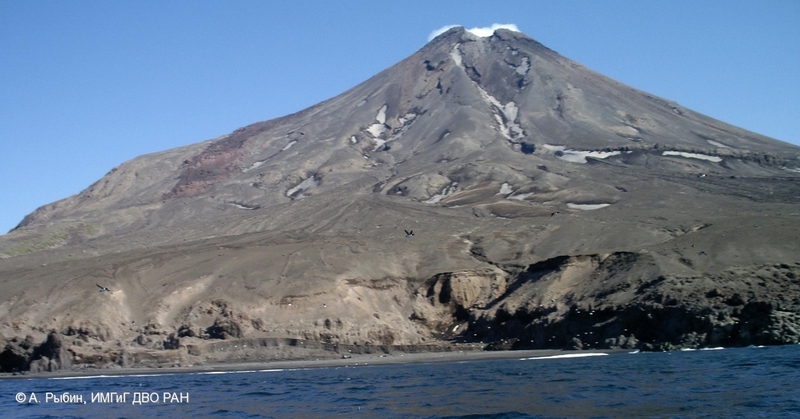 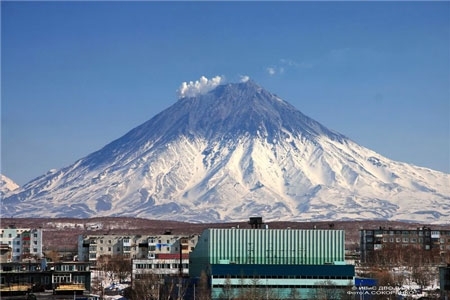 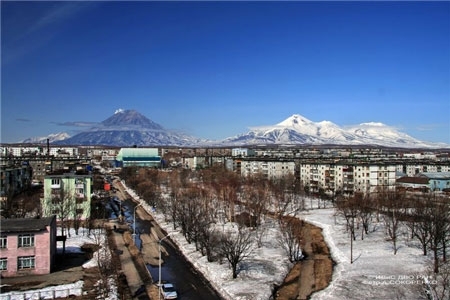 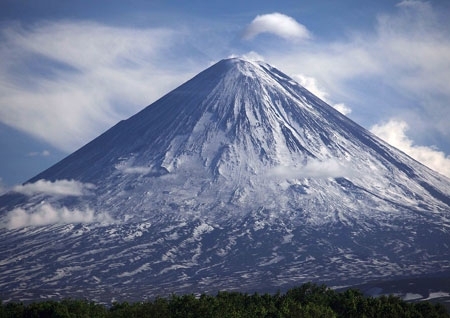 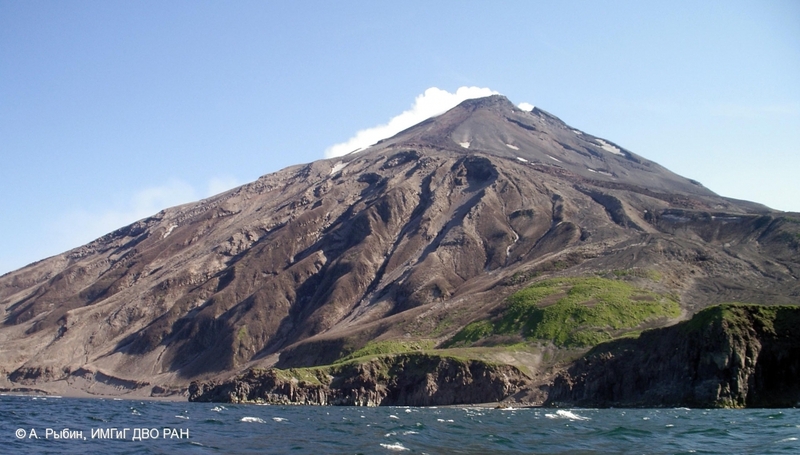 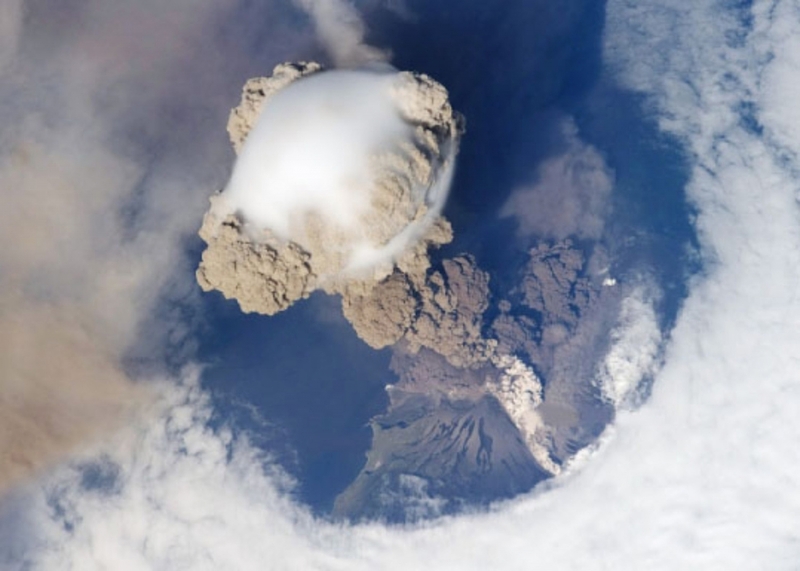 A state of Peak Sarychev volcano after a strong eruption on June 12-15, 2009: pyroclastic deposits covered all volcanic flanks. 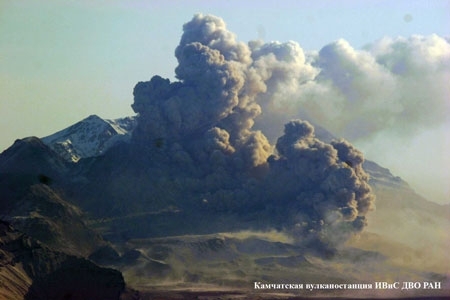 Regime observation of the Koryaksky Volcano, Pinachevo settlement.